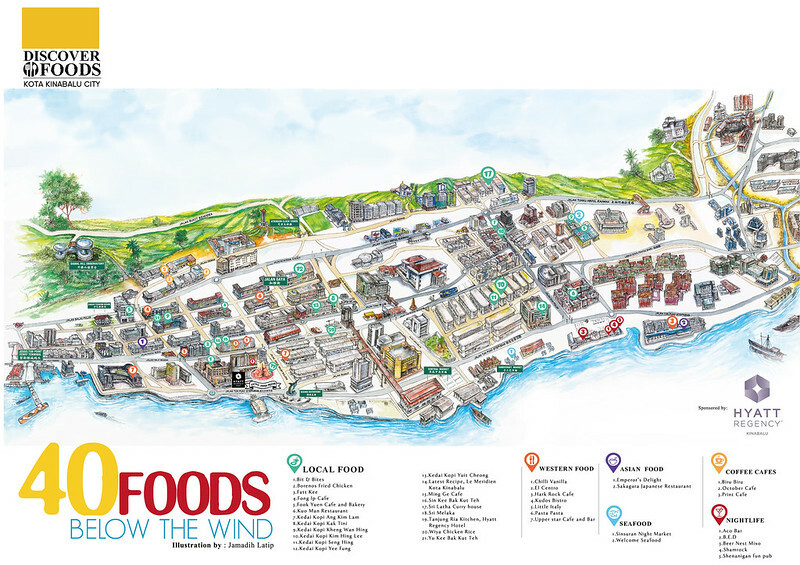 Looking for foods at Kota Kinabalu City Centre? 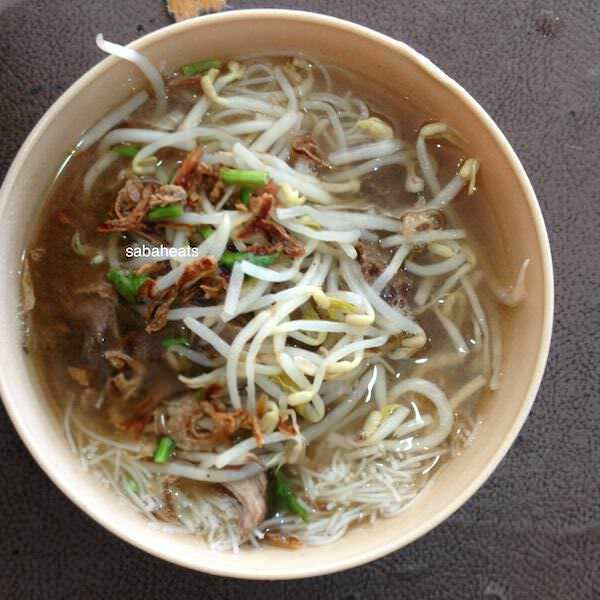 Why not try some of the local favourite foods and also some highly recommended foods by tourists. 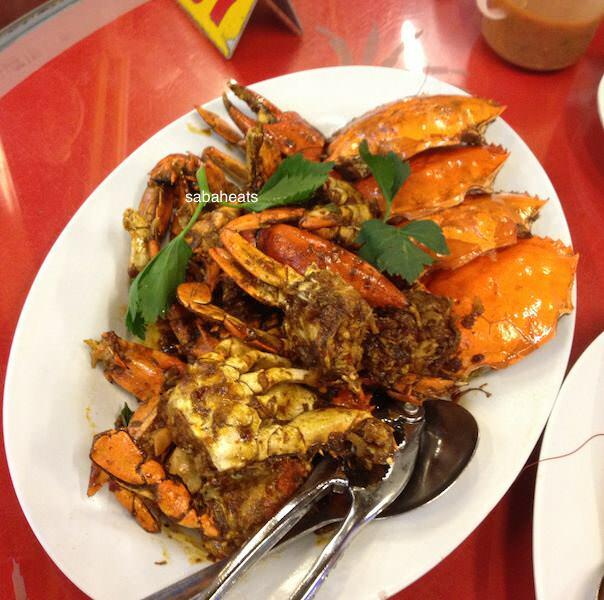 Kota Kinabalu City Centre offers a wide variety of foods from Western to local Chinese cuisine. The City centre is compact enough to explore on foot and taxis are available (fixed rate) for moving around. 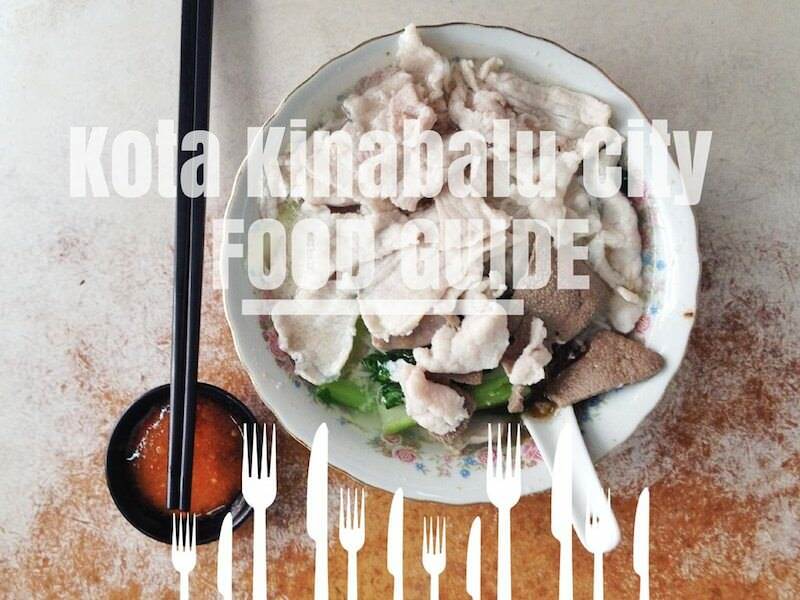 Here is a list of foods you can find at Kota Kinabalu City Centre recommended by foodies. Served good and delicious Malay Kueh. This humble little shop which takes up only half lot on the ground floor of Wisma Merdeka has been in business for over 30 years! 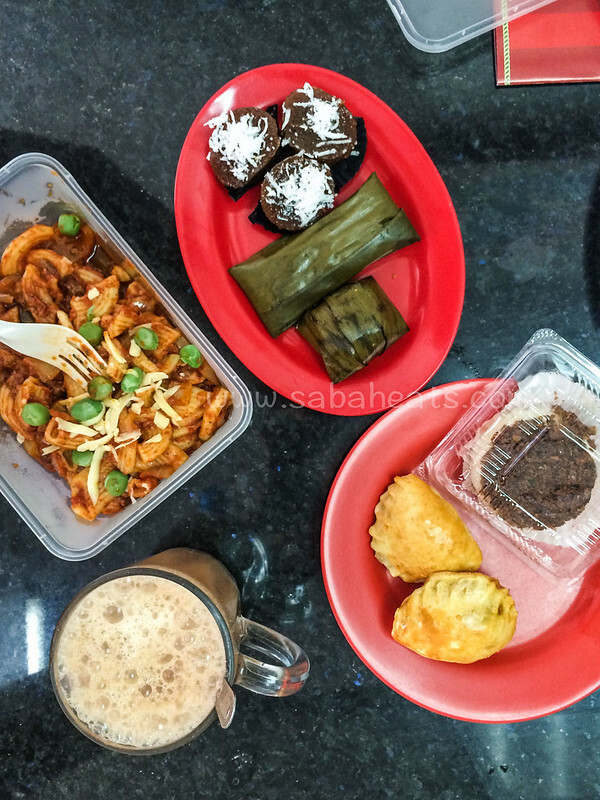 Must Eat: all the delicious Malay Kueh! 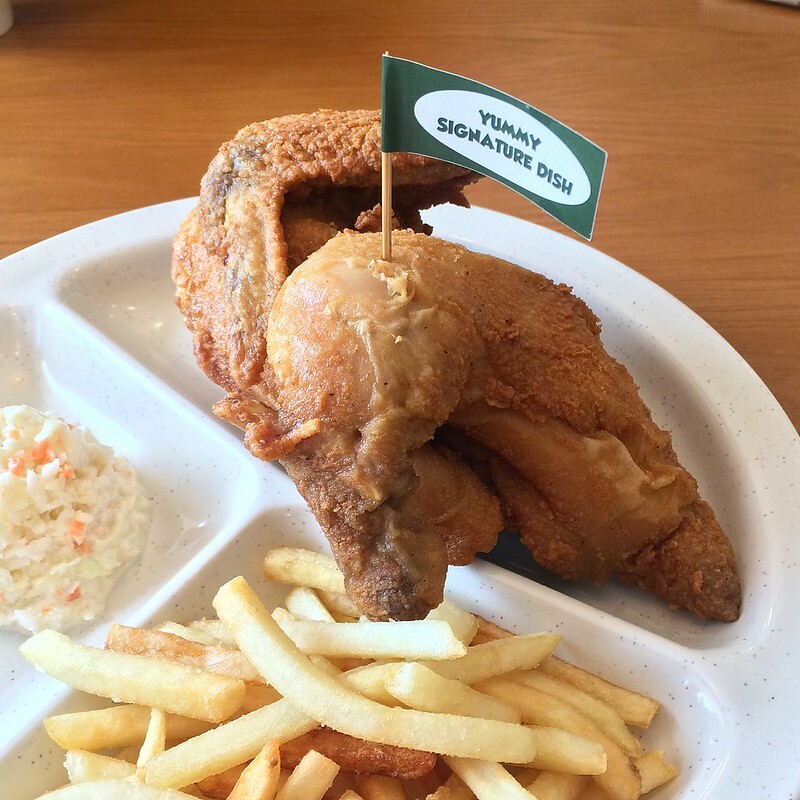 Sabah very own fried chicken fast food restaurant. Good place for some crispy, delicious fried chicken. Must Eat: Full Spring chicken for the big eater. Chicken wings slathered in the wondrous flavors of “Rooster Sauce”. Sweetness, intermingling with every bite. 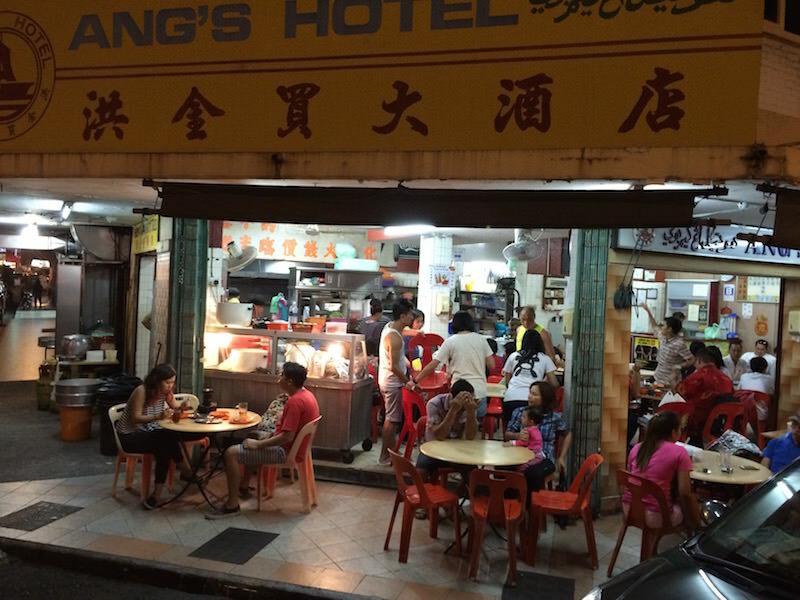 Locals usually call it Ang’s Hotel as the shop is located below the Hotel. Serve good Chinese foods and price is reasonably cheap. A variety of breads and toasts, homemade Hainan coffee and nasi lemak. Located at Gaya Street in the center of KK town. Good variety of food choices, available from breakfast to dinner. 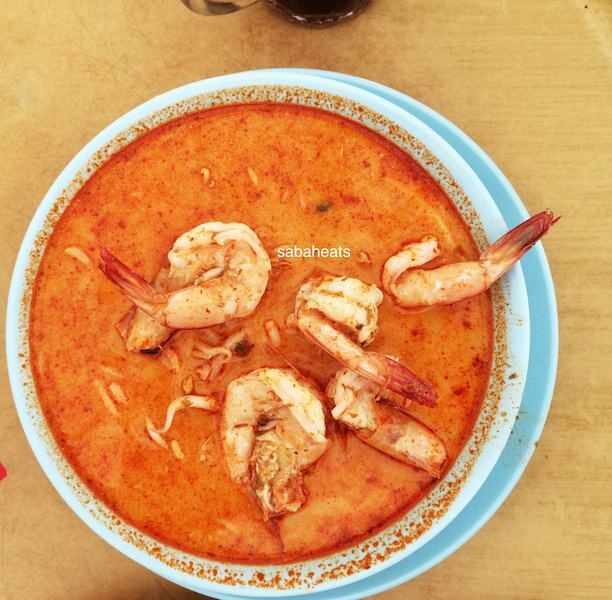 Another place to try local laksa in KK. Location: 100 Jalan Gaya Street, Kota Kinabalu. Favorite place for “yamcha” tea drinking session, Fook Yuen serve the best tea and coffee in Kota Kinabalu. They also serve halal dim sum. 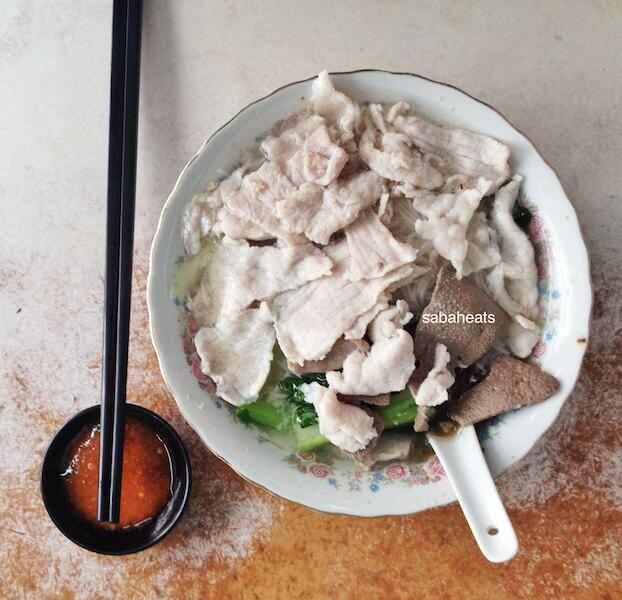 Famous for their fish paste, fish slicem beef slice, and dry noodle. 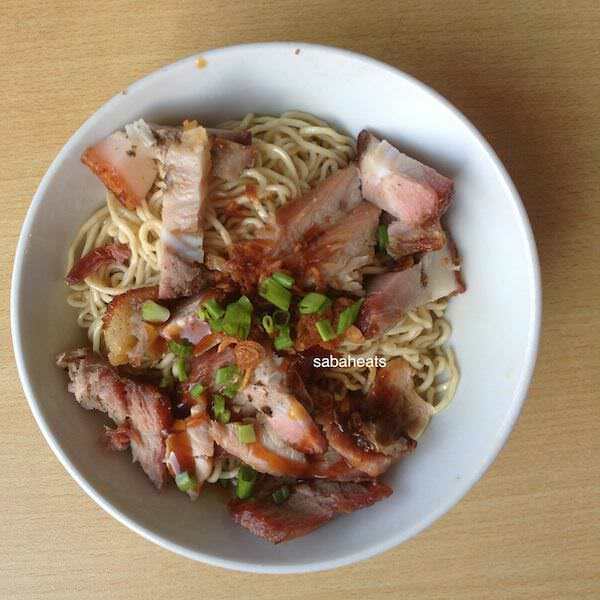 Favourite among the locals serve fantastic Kon lou mee (dry stirred noodle with dark sauce). You will need to wait at least 30 minutes for the noodles but it worth the wait. 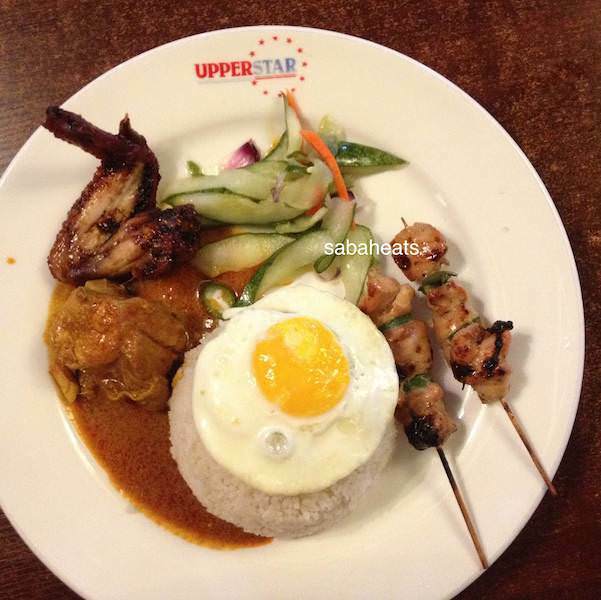 Serve cheap and delicious Malay food in the city center. they also so sell Fried banana fritters. 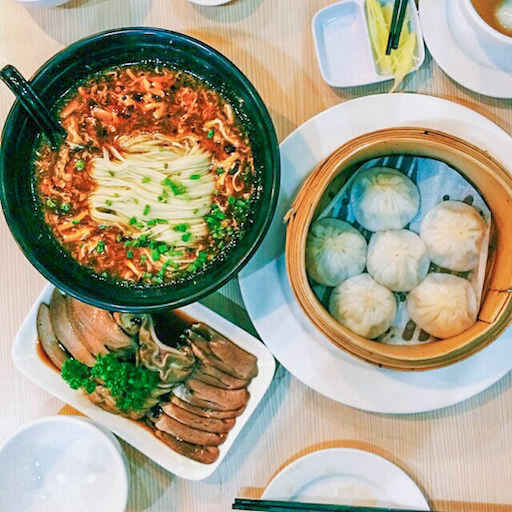 Taste the difference in Keng Wan Hing 瓊萬興茶室 daily fresh-baked breads and buns ! And it’s so simple to enjoy every day. 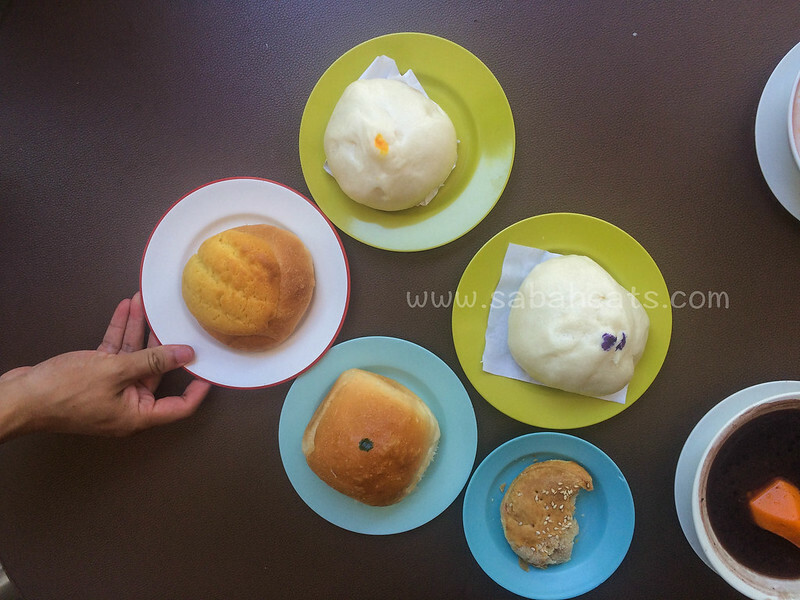 Sometimes there will be a long queue to get hot steamy buns, obviously their pastries is best for afternoon tea break with old school home cook tong sui and tea. 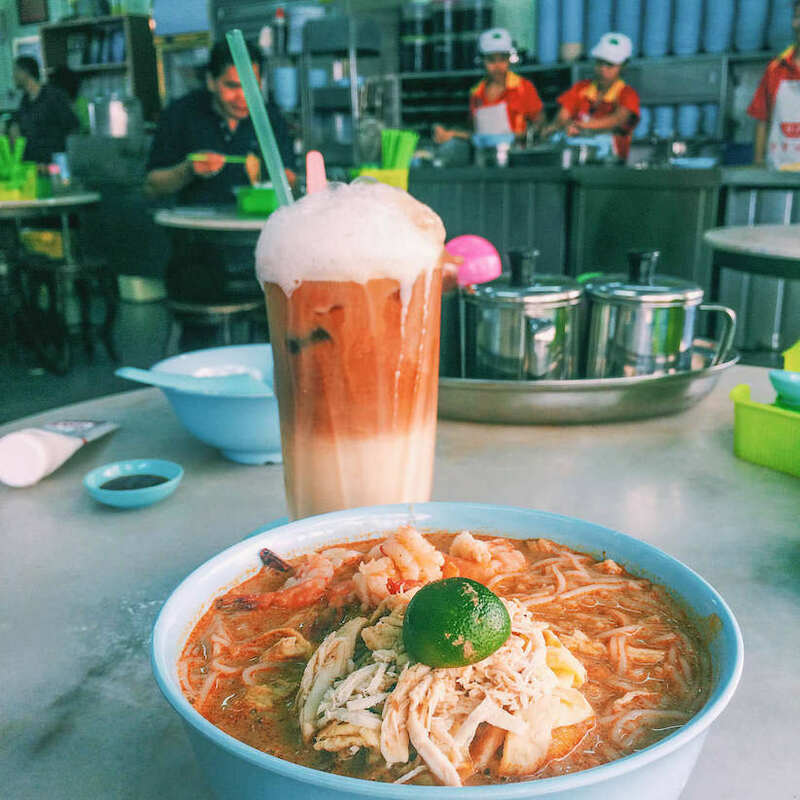 Famous for their Laksa and they also service a great beef noodle soup, claypot chicken rice and Teh Tarik. 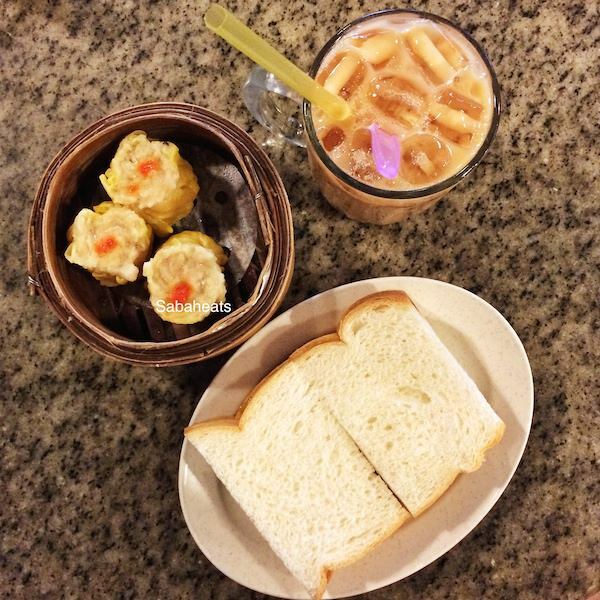 Yuit Cheong is considered one of the oldest coffee shops in Kota Kinabalu as it is Yuit Cheong is established in 1896! 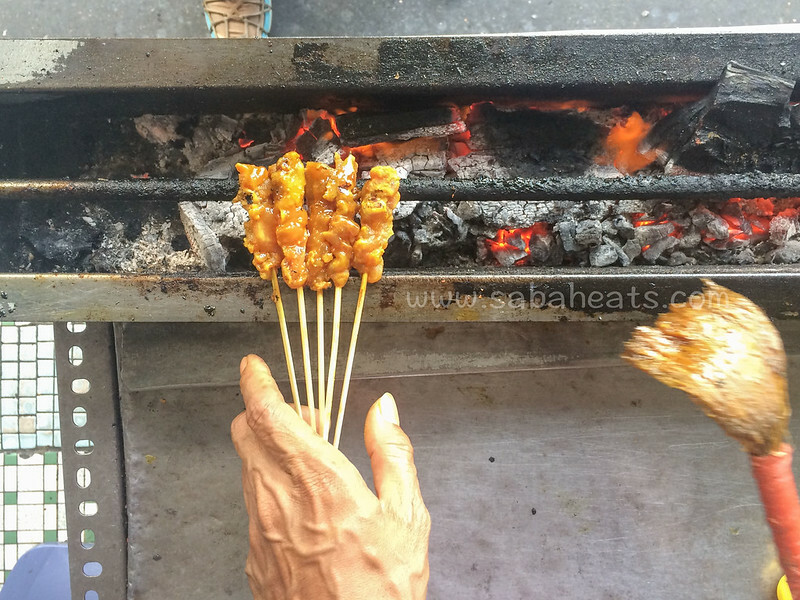 Tender beef, juicy chicken and kambing (mutton satay), beef belly satay is a must try dish for all satay fans. Served with garnished with crushed peanuts, cucumber pickles. Eat like a local, by assorted dips a toasted flat bread ( Roti Bakar) or steam breads, and enjoy satay dipping sauce . Looking to taste Sabah local foods. 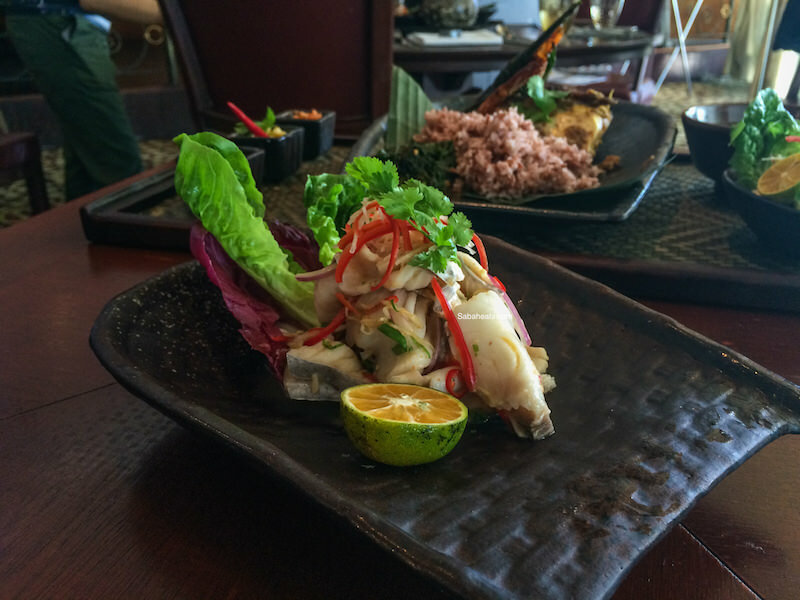 Latest Recipe at Le Meridien is the only place which serve traditional Sabah food such as Hinava, Pinasakan, Tiger Prawn in Banana Leaf, Ayam Bambangan and Ambuyat. If you never heard of any name mentioned, then make sure you make a trip to Le Meriden to know more about Kadazan-dusun traditional food! Rich in herbal flavours, thick in texture and cloudy in colour. 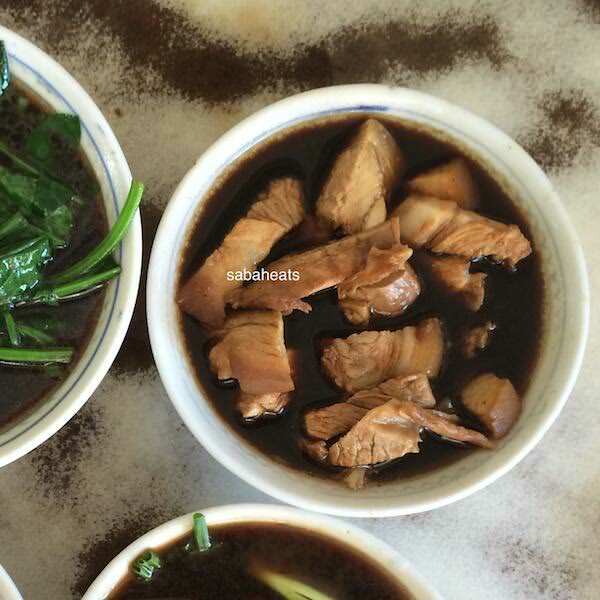 The bak kut teh is always served piping hot in a clay pot with generous amounts of pork ribs, sliced pork and more! 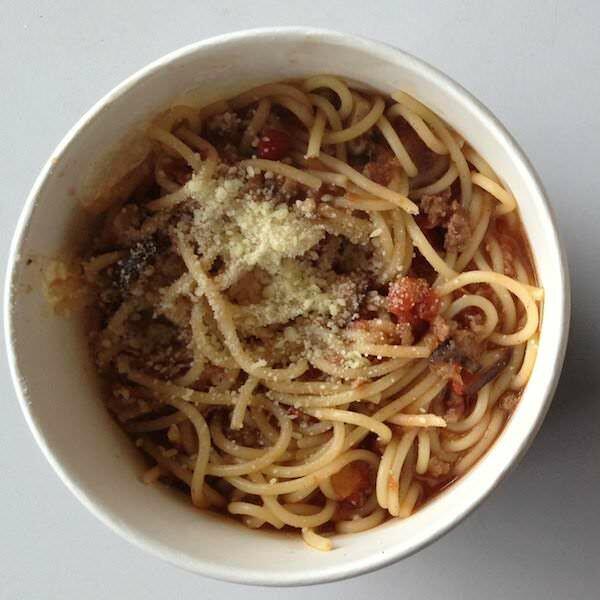 Add some fresh minced garlic into your soup to bring out all the best flavors from your bowl. Location: 26, Jalan Pantai, Kota Kinabalu. Looking for Indian food? 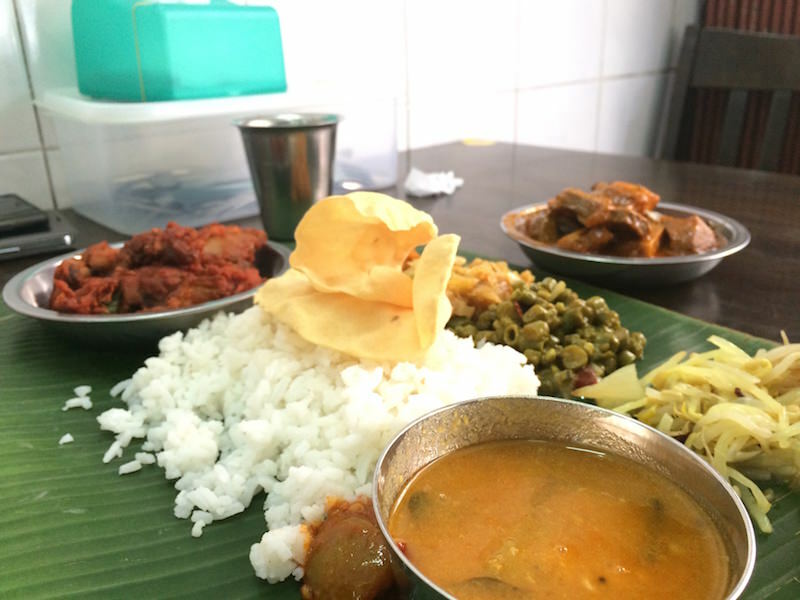 drop by Sri Latha Curry house at Bandaran Berjaya area and try their highly recommended banana leaf rice. you can choose chicken or lamb meat to go with the vegetarian leaf rice set. The area is a bit hidden so do take note on the exact location before getting there. 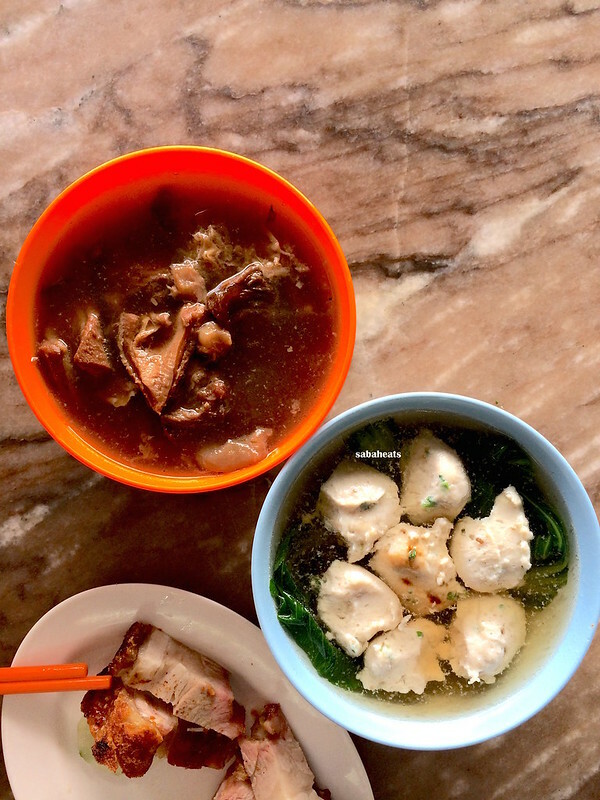 Discover the taste of Nyonya at Sri Melaka Restaurant, Since 1980, Restoran Sri Melaka has provided a wide selection of authentic Malaysian cuisine cooked to aromatic perfection by indigenous cooks. Location: No 9, Jalan Laiman Diki, Kota Kinabalu. 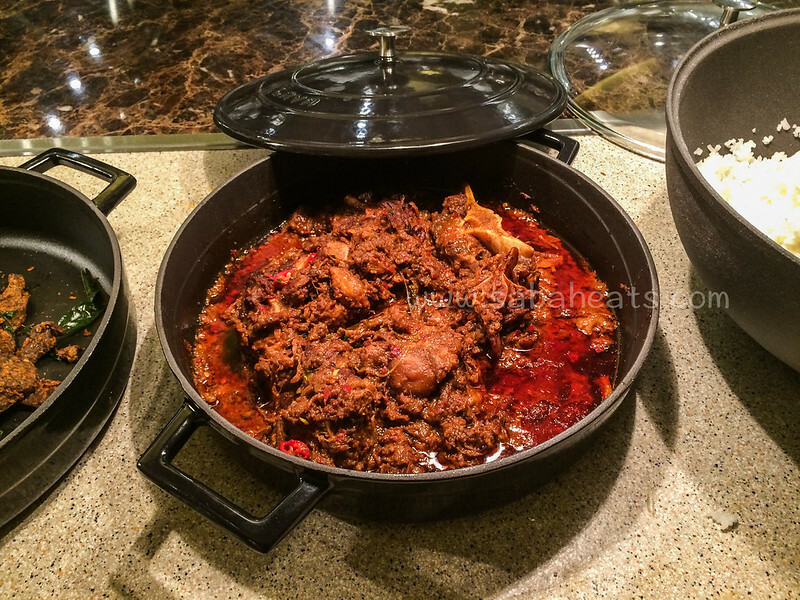 The restaurant’s signature dish, Oxtail Assam Pedas – is widely acclaimed as one of the best in the country. 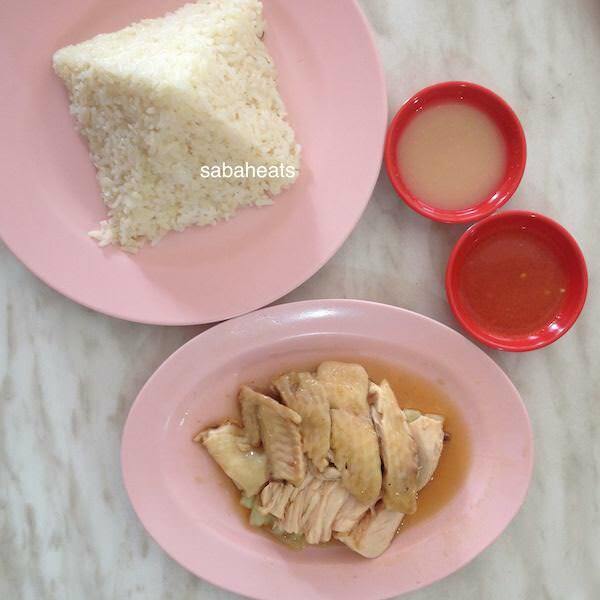 Established in 1976, starring tender chicken served over fragrant rice cooked with chicken stock and pandan leaves, this delicious dish delights with its rich flavours! 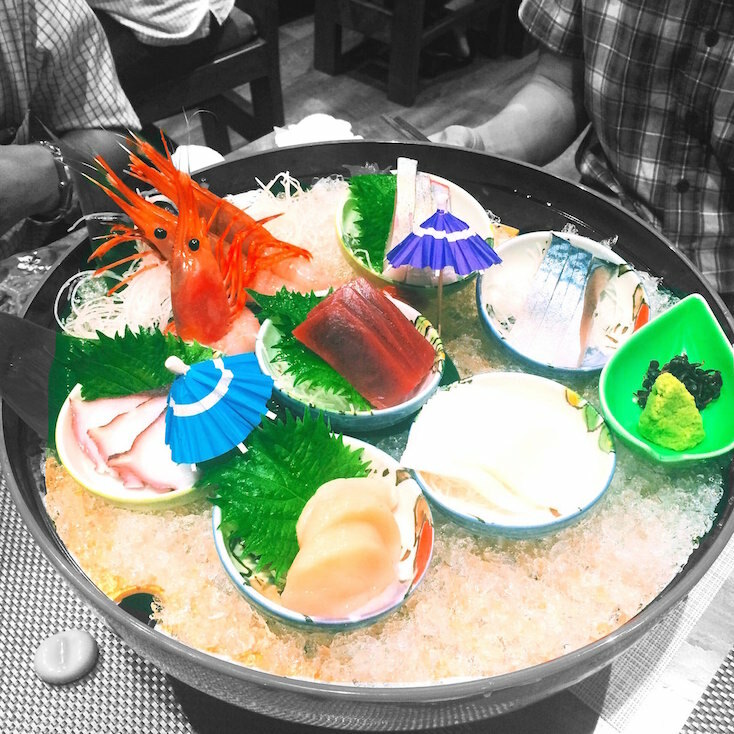 Fresh and delicious seafood at the street. Cheap and a wide selection of seafood. 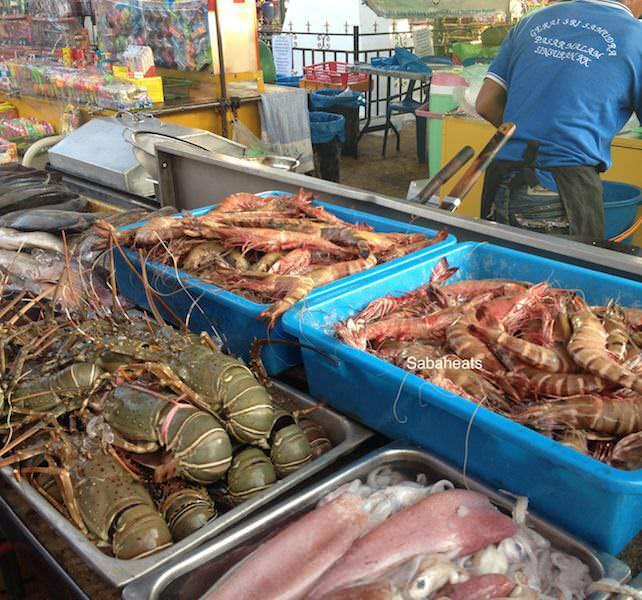 The hottest and famous for seafood in Kota Kinabalu. This primo cafe serves western comfort food. Don’t skip the pastries and cakes that are made with a menu inspired by Hungarian owner Szilvie, who knows how to serve up a feast. 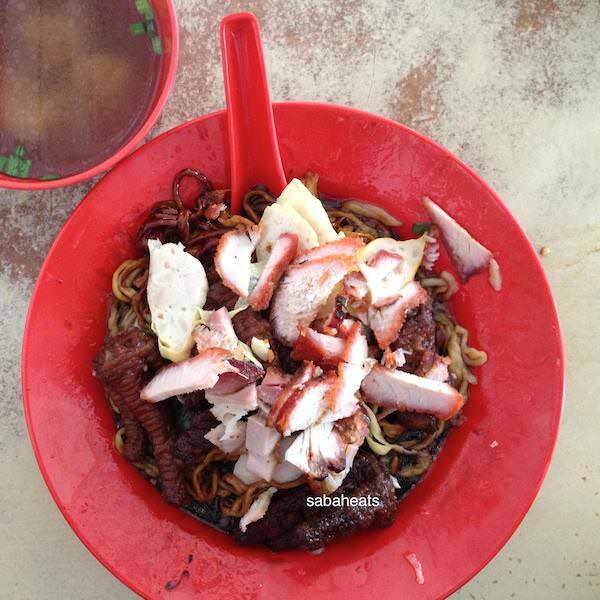 Location: 35, Jalan Haji Saman (Off Jalan Tun Razak), 88000 Kota Kinabalu. Specializes in a variety of Western foods and killer cocktails. El Centro is popular with tourists and offers great ambiance and delicious food. With a splendid sea view, enjoy sipping and toasting right along the waterfront! Enjoy delicious food and drinks and rocking entertainment. 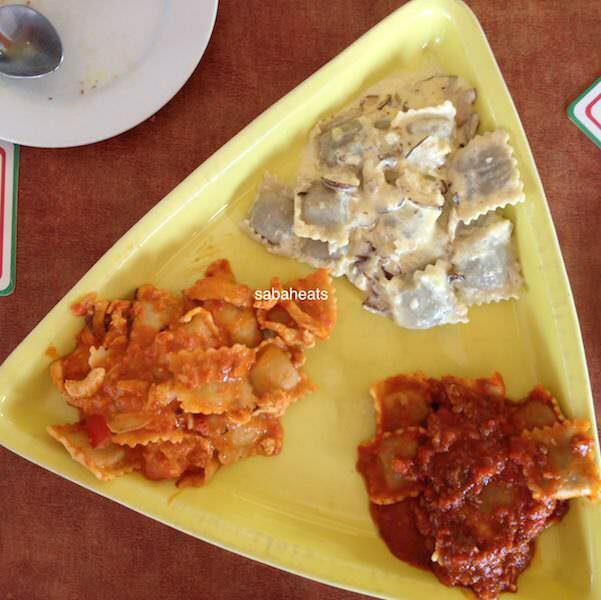 Cuisine ranges from Seafood spaghetti and Grilled meats (Lamb / Beef) to desserts like cheesecakes and alcoholic drinks. There are also live band performances in the evening hours. Kudos has a cozy ambiance where you can enjoy a gastronomically satisfying meal fit for even the most discerning taste buds. This is an ideal location for lunch, dinner, private functions, or just a cup of freshly brewed coffee and mouth-watering pastries and desserts. Location:69 Jalan Gaya (in Jesselton Hotel), 88000 Kota Kinabalu. The concept is simple, You can choose your prefer noodle, sauce, and toppings and it only cost RM6.50 for a bowl of Pasta. Must eat: Xiao Long Pao. Must eat: Yakitori and sushi.